Cuisinart 4-Slice Belgian Waffle Maker Just $49! Down From $110! PLUS FREE Shipping! 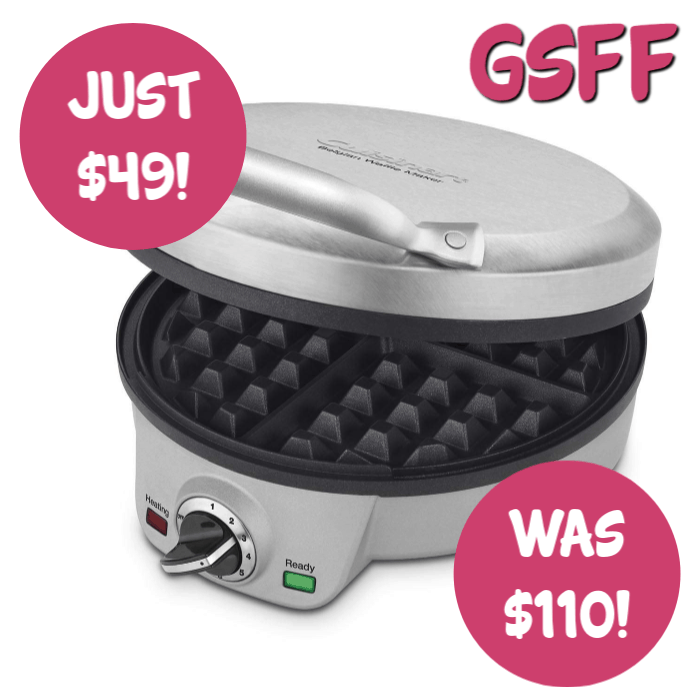 You are here: Home / Great Deals / Amazon Deals / Cuisinart 4-Slice Belgian Waffle Maker Just $49! Down From $110! PLUS FREE Shipping! Don’t miss this deal! Head over to Amazon to get this Cuisinart 4-Slice Belgian Waffle Maker for just $49.32, down from $110, PLUS FREE shipping!